The legendary Benny Binion created the World Series of Poker in 1970 when he invited six of the world's top poker players to play in a tournament at Binion's Horseshoe Casino in Las Vegas. 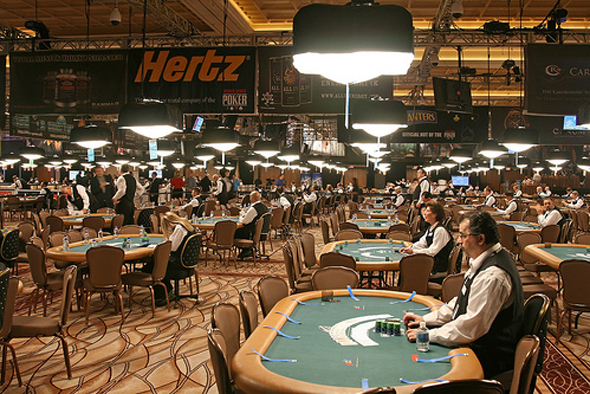 Today, the WSOP draws superstars from the world of poker to a tournament with thousands of players. 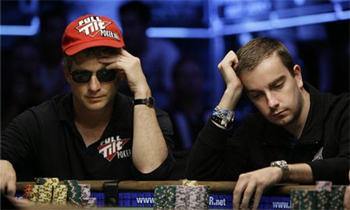 In 2006, 8,773 poker players participated in the WSOP's Main Event alone. This is a far cry from the early days of the WSOP when participation was limited. Starting in the early 1980s, satellite tournaments were created. This allowed people to win their way into the events at the WSOP, rather than paying the generally high entry fees. In 1982, 53 players participated in the WSOP. By 1987, more than 2,100 poker players were vying for the cash prize and World Series of Poker bracelet. The World Series of Poker bracelet is awarded to the winner of each event in the WSOP, with the bracelet from the Main Event's Final Table being the most coveted bracelet of all. The winners also receive cash prizes that vary based on the number of players and their corresponding buy in amounts. 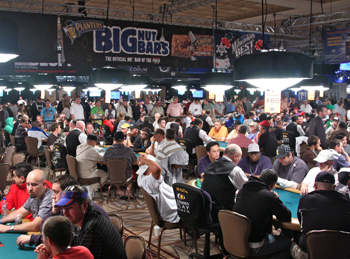 The WSOP has consisted of 55 events since 2007. The no-limit Main Event final table has a $10,000 buy in and had attracted entrants numbering in the thousands since 2004. This is a BIG DRAW folks and whether you're a serious or casual poker player, whether you're playing in the WSOP or just want to observe and soak it all in � ExploringLasVegas.com has your hookup, as always. We've got the club connections and the limo transfers and the inside info on where all the hottest action is both on and off the poker tables. Some of the biggest names in poker have been known to also play online casino games such as roulette, blackjack and craps. The current boom in Poker's popularity can truly be attributed to one man and that man's name is Chris Moneymaker. No joke folks, that's his real name. Moneymaker is an accountant turned Poker superstar. When he won the WSOP in 2003, he ignited lightning and the popularity of poker skyrocketed to unbelievable proportions. Chances are even the most casual poker fan or player can name one of its superstars. There is almost no time of day when you cannot find poker on T.V. And this can all be credited to the rise of and success of Chris Moneymaker. Moneymaker's journey to poker superstardom is such a tale of the everyman that it gives every casual online poker player dreams of one day dominating the WSOP betting. Chris Moneymaker won his way into the World Series of Poker through one of the qualifying satellite tournaments. When Moneymaker won his seat into the Main Event of the 2003 World Series of Poker he was working as an accountant. The satellite tournament that set him on his way to fame and fortune was a $39 buy in tournament at the PokerStars online poker room. While Moneymaker entered the 2003 WSOP as an unknown, he caught the eye of a professional handicapper who proclaimed Moneymaker to be the dark horse of the tournament. Chris Moneymaker won $2.5 million in prize money. Do you know what is even more amazing and inspiring? The 2003 WSOP was Moneymaker's first live tournament. Prior to that, he was an online poker player only. So you see? You can become an overnight Poker Sensation. And even if you don't our VIP Services can make you feel like one of the Superstars of Poker with a package designed to bring you the very best of Las Vegas. Whether you're playing in the tournament or in town to soak up the atmosphere, we can make you feel like Chris Moneymaker on the day he won the 2003 WSOP.